This little girl is a fish out of water. She loves taking baths, splashing and smiling the entire time. We didn't do the whole sink-bath thing with our son, but with her it just seemed right. I put her in the sink and prep dinner, or whatever meal it is, while her and I "chat." Though, who are we kidding, it's really just me talking to myself. She's always in the bath because she's such a drooler & messy eater. Baths with her have become a reoccurring event. Sometimes she splashes while me and DC have a dance party, and on the slower mornings, she splashes while I sip on something extra sugary #typical. With the colder weather sneaking in ever so slowly, I'm prepping for the sensitivity my babies get. Every winter DC gets eczema, and if our little Aida Mae is anything like her brother, she might just get it too. We keep the Skinfix Gentle Hair & Body Wash by our sink. It's mild 2-in-1 formula is sulfate and fragrance free. It has coconut, aloe, and jojoba which help keep our babies' skin clean and healthy. One pump later and our sweetheart is squeaky clean. 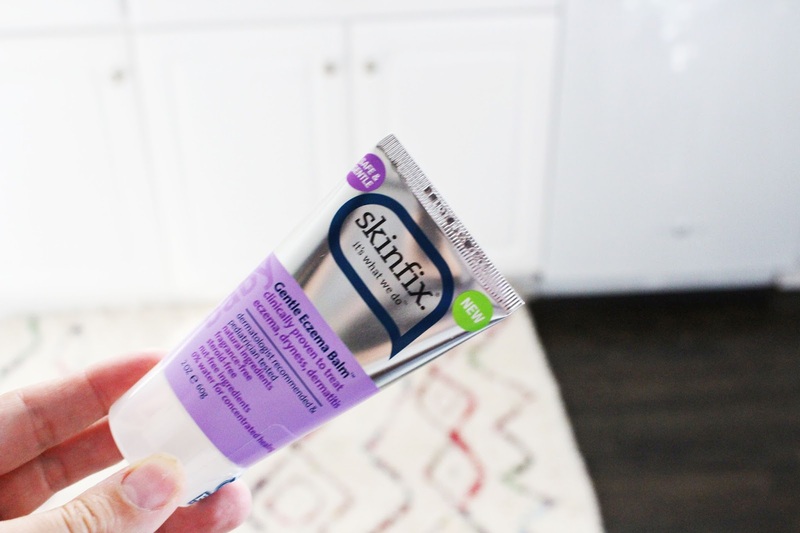 We apply the Gentle Lotion afterwards because it's lightweight and soothing with it's chamomile, but if I see that she's a little extra dry I usually grab their Skinfix Gentle Eczema Balm. It has oatmeal that helps reduce her redness, and acts as a protective barrier for her sensitive skin. Their Diaper Rash Balm also helps soothe and acts as a barrier, but with the help of zinc oxide. Their products are just what we needed, and we found them at just the right time. Keeping these babies safe from the harsh winter that Michigan brings makes me feel like I have to be super woman sometimes. 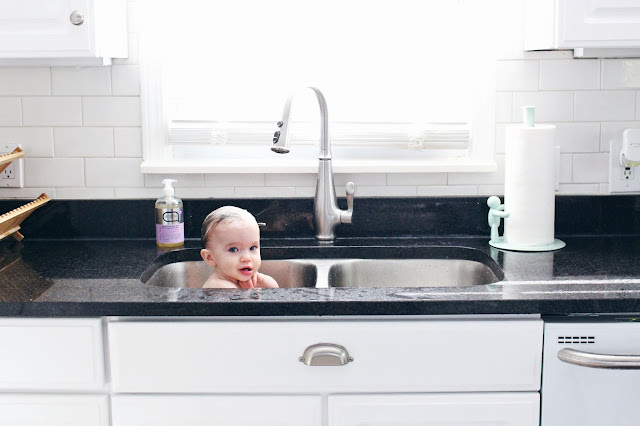 Fighting off colds, flus, eczema, and anything else that it tries to throw our way. C-ya winter crap, you're not welcome 'round here #GetOutOfTown.